Every now and then I write something that threatens to make me unpopular and marginalized. Turns out Jesus freaks are annoying. Sigh. It’s true. The last thing I want to be in this post is divisive to the wonderful, flawed body of Christ or self-focused and whiny…so trust me, I’m being careful. But I read an article today that messed me up – about the Western Church and how we don’t have a clue what true Gospel living really is. And now I can’t write anything else but this post that threatens marginalization that was not on my schedule. Hashtag inconvenience. Please. Don’t you know how much I don’t want to say hard things? It’s not my goal in life to scare people off and have them run away. But God presses me hard, sometimes, and His pressing bosses me to death. My allegiance is to Him. It is not to my peers. It is not even to my readers. I gave up caring largely about what people thought of me when I wrote I Want God, thank God, and it’s too heavy to take back. After this article (which, please, believers, all read) I sit with a lump in my throat and tears pushing to come out in all the conviction. All I see lately is let me post a selfie with a random Bible verse caption and buy my latest book and post after post on Twitter, ad nauseam, with our answers to all the things. Every conference that has a get ahead theme to it, with the best people still, but chasing, chasing and I literally want to throw myself across the bed and scream. Where is God in all this? We are dying to hear everything we don’t need to hear and being in the most popular Christian group. I’m tired of who knows who and all that, when it comes to the ministry world. It tarnishes God’s honest concept for community and makes those who don’t know some particular who wishful they did. I’ll be gut level honest: by virtue of that I do, I’m enveloped in a weird Christian celebrity world of sorts that I did not sign up for and I can’t be silent and pretend it doesn’t exist. (If you don’t know about this, I’m sorry to have to be the one to tell you.) And I have worked very hard with Jesus for this kind of strong calling out not to be baggage or envy or anything else, and I can promise before Him now that I truly believe it is not and if it is, I give Him full permission to out me. I’m tired of Christian circles where compliments are gushed publicly without true relationship, conveniently right before our new book comes out. We’ve scratched each others backs so hard we have fingernail marks. I’m tired of Christian cute: all the zillions of inspirational sayings that we have trained ourselves to now need to hear every 2.2 seconds for the next fix that float around on social media…the way we mostly circle around ourselves as believers instead of reaching out to the lost…our Christian t-shirts and jewelry we can’t get enough of but mostly just wear and don’t live…our complaint after complaint about everything under the sun while missionaries in other parts of the world live under mosquito nets and fear for their very life…being so very proud of ourselves for our short bursts of faithful to the Lord. Sometimes Christian cute and Christian celebrity makes me want to throw my hands up in the air and quit, especially when I read an article like the one I did earlier today and remember the persecution of believers in other parts of the world that are real, people, really real and I am so very wimpy and soft. And in the next minute I see a picture of what Christian celebrities are taking a picture on Instagram together, more please buy my new book (p.s. Please don’t write to me about why this is necessary because trust me, after 10 years in the business I get it, and there’s a difference between responsible book promotion and pimping ourselves to death), and my own tweets last night while watching The Bachelorette. Let me not be falsely humble. I’m a fan of myself, too. We all are. Humans. So then I’m convicted in my own self sin, and I just want to quit and cave up, like I do when it all seems so wrong and so much and that article that messed me up won’t stop bugging me and I’m not sure what to do about all that’s wrong with me, with us. All of this Christian celebrity and Christian cute is about nothing but tactics of the enemy to keep us focused on self, which, in fact, is working. And we can call it favor and call it being exalted by God but let’s not lie to ourselves about all the hustling we do to get there in many cases, too. And I know this calling out needs a solution or it’s just venting, which is a further waste of our time, and I don’t want to be held responsible for that. I’m going to forewarn you: I won’t do this perfectly, so please don’t be expecting that or you will be sorely let down. I won’t promise not to slip, because I may. I don’t ask you to do it perfectly, either. I promise to love you through the muck of sorting it out, as I hope you will, me. But we’ve got to fight for our purity of heart and stop settling for a glossy version of a Gospel that daily costs real, skin-on believers their lives. If we aren’t going to go be physically in the trenches with them, we can at least fight for and with them here in our safe world through prayer. And most of all, just God, forgive us for our Christian celebrity and Christian cute. It has absolutely nothing to do with You. Lisa Whittle is an author, speaker and most affectionately known as “mom.” Her love runs deep to see people grow roots and walk strong in the midst of a world that sometimes makes us crazy. She is the author of six books, including her latest Put Your Warrior Boots On. 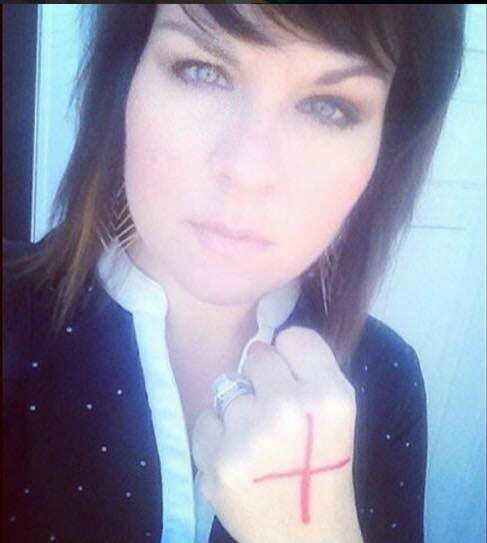 She is a wife and mother of three who currently resides in North Carolina. 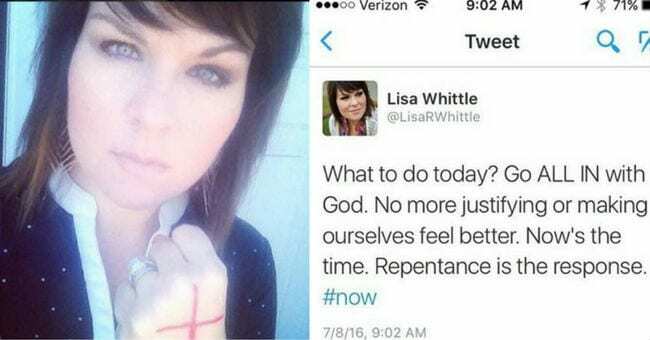 Visit her at LisaWhittle.com.